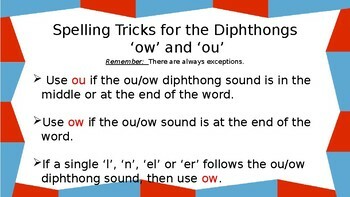 This Powerpoint is a great way to introduce your students to the diphthongs 'ou' and 'ow'. 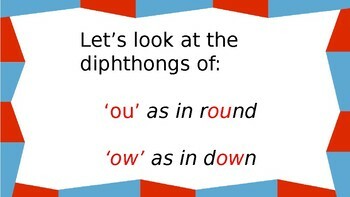 My students love brightness of the presentation as well as the interactive nature of the slides. 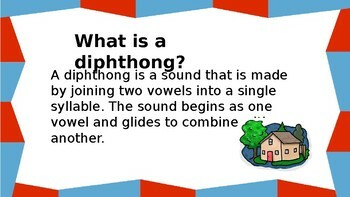 Introduction slides as well as slides for review of the sound and practice.